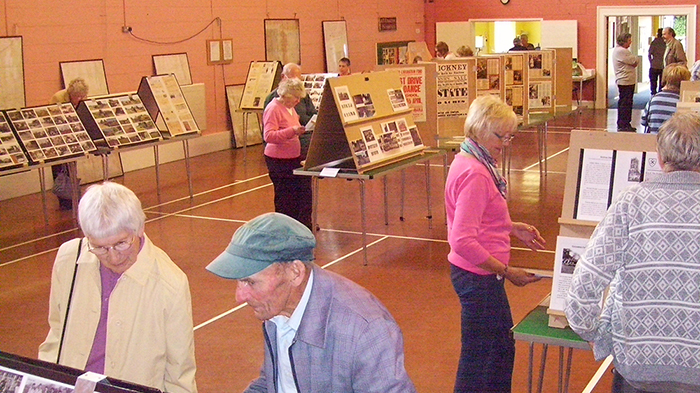 The next Stickney History Exhibition will take place on Saturday 14th and Sunday 15th September 2019. Doors will open at 10am, and close at 6pm on both days. It will be held in the village hall in Stickney. Admission is free, however there will be the opportunity to make donations, which will go to local charities. Light, homemade refreshments will also be available. For directions to Stickney Village Hall, please click here. 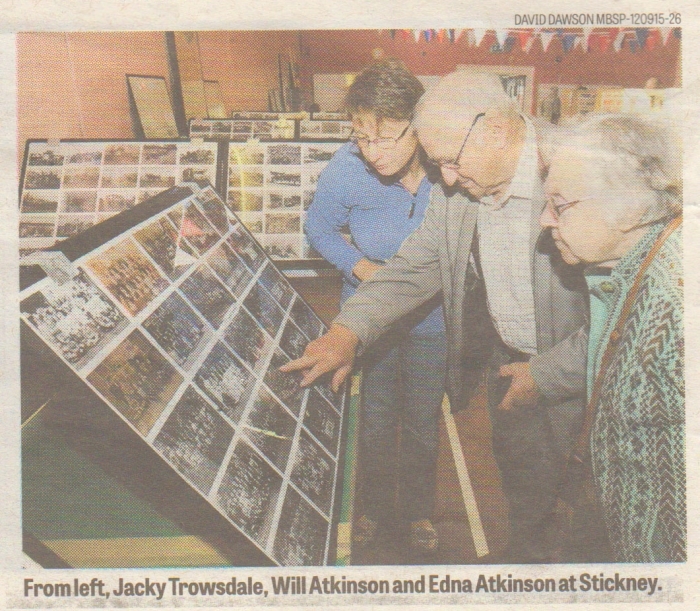 Once again the Stickney History exhibition proved very popular. More than 350 people attended over the two day period. There were visitors from far and wide including an American couple who came from France, researching their family name of Stickney. 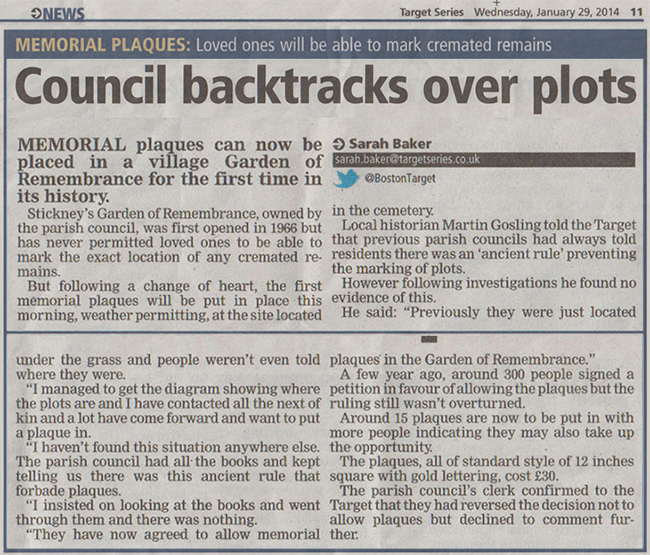 Others travelled from Essex, Derbyshire and Nottingham as well as many local people. From the feedback forms the general consensus was that everyone found the exhibition very interesting and many gained much information. The donations of £350 were given to Lincs and Nottingham Air Ambulance and the Stickney Village Hall committee. 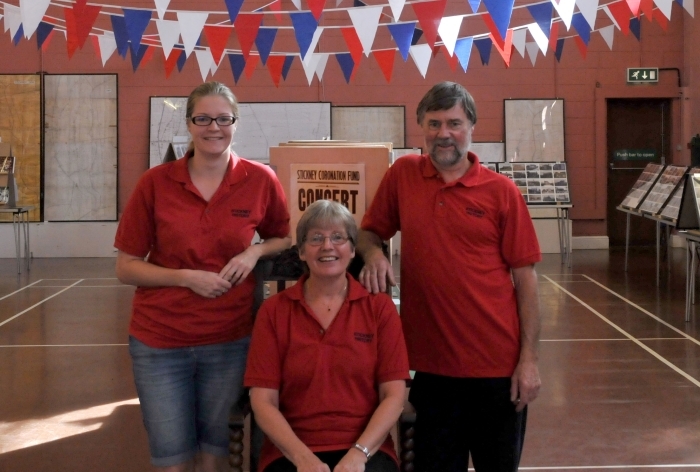 Martin and Bev would like to thank all who came and supported their event. "I visited your exhibition on September 11th. Very interesting, and you'd all obviously put in a lot of work. "I attended your History Exhibition at Stickney on Sunday 12th September and gained a lot of knowledge about my family history. I was amazed at how much information etc.. you had out on show, you must have put a lot of hard work into making it such a success. " "...Thank you for all the help and advice I recieved." 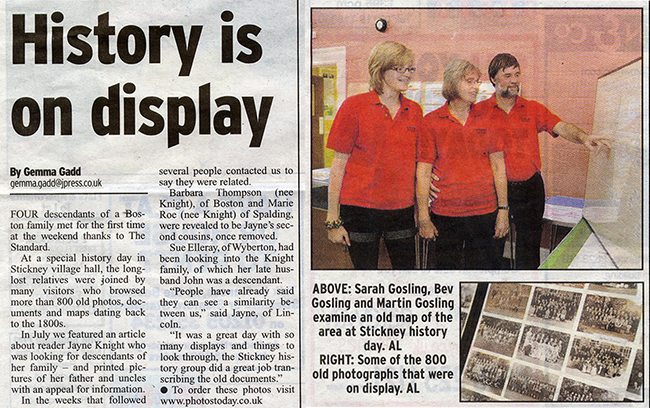 Sarah Gosling, Bev Gosling and Martin Gosling examine an old map of the area at Stickney History day. 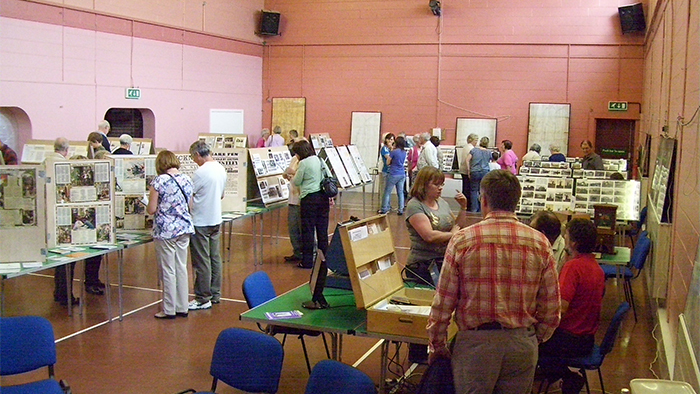 The 2011 Stickney History Event raised £345 for local charities. This was divided between The Lincolnshire and Nottingham Air Ambulance (£170), St Luke's Church, Stickney (£75) and Stickney Village Hall Committee (£100). We would like to thank everyone who made a contribution. 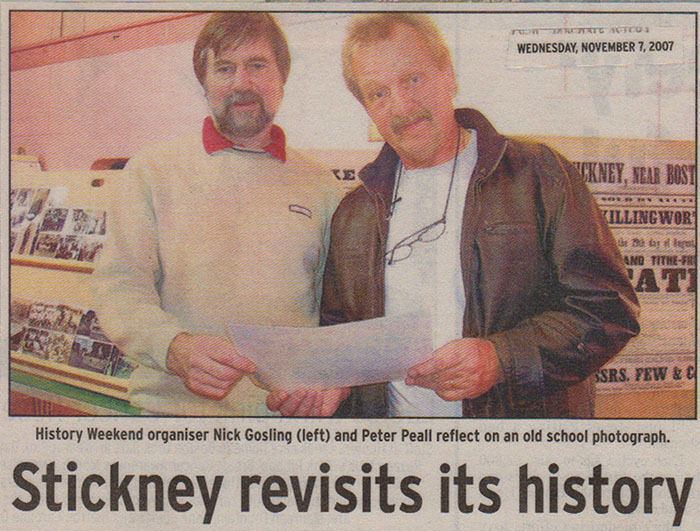 Nick Gosling and Pete Peall reflect on an old school photograph. Sarah Gosling, Bev Gosling and Martin Gosling at Stickney History day.